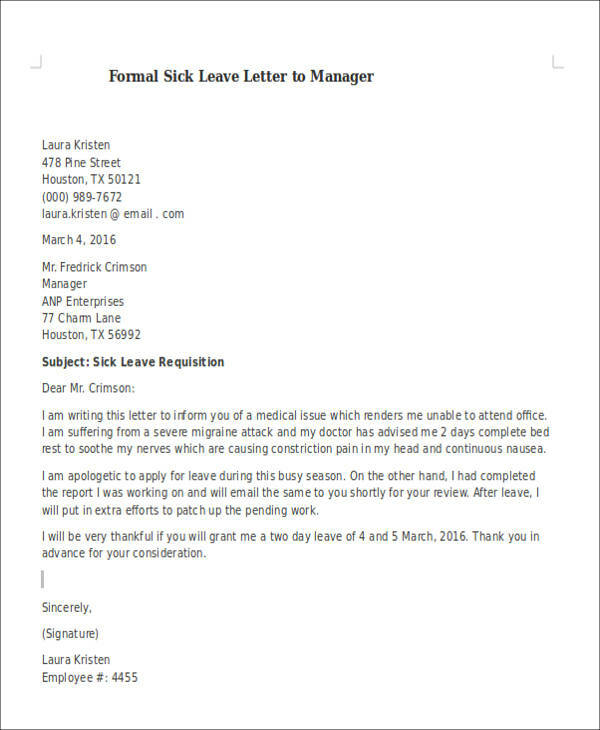 To help guide you in your letter-writing, feel free to refer from our collection of sick leave sample letters that are available for free download. Scroll down below and use these templates as your guide! 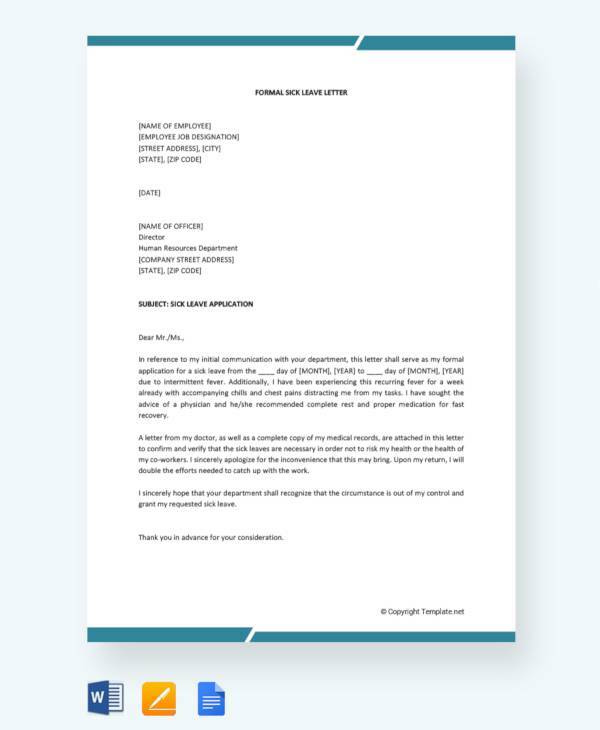 Speaking of leaves, if you are a human resource manager or employer, then you can benefit by using our sample leave application form in your employee leave-management procedures. 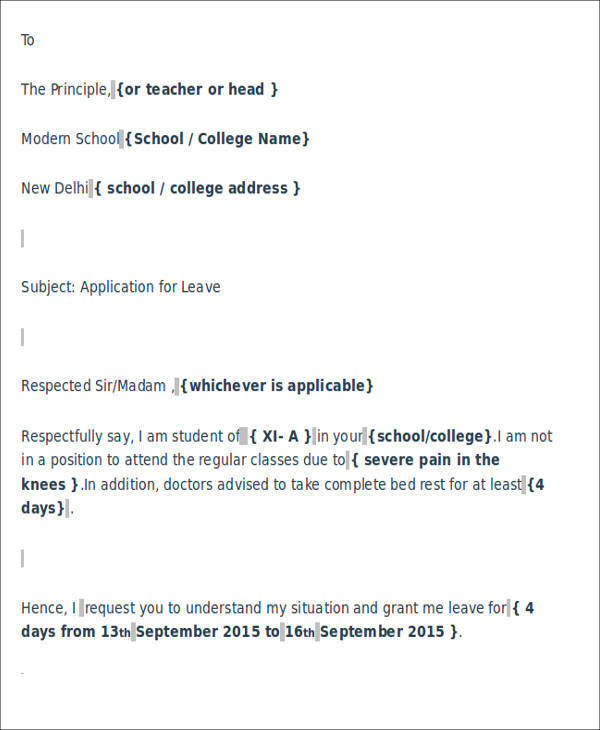 Parts of an Employee Sick Leave Letter. 3. 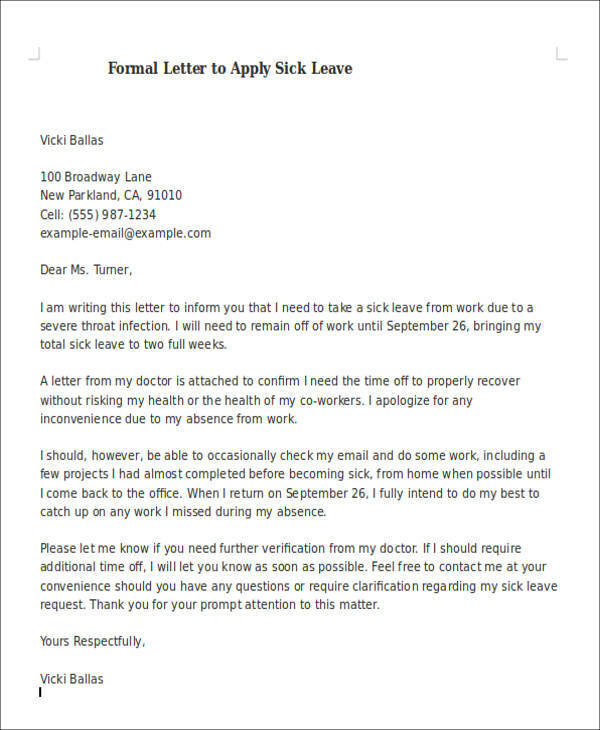 Leave of Absence Line. This is not necessary, but it helps your case a lot if you narrate how you are sick and what are the symptoms of your sickness and how these symptoms have made it difficult for you to perform your daily tasks should you opt to go to work despite being sick. If you have a medical certificate from a doctor, you can also mention in this line that you are attaching a copy of such medical certificate. 5. 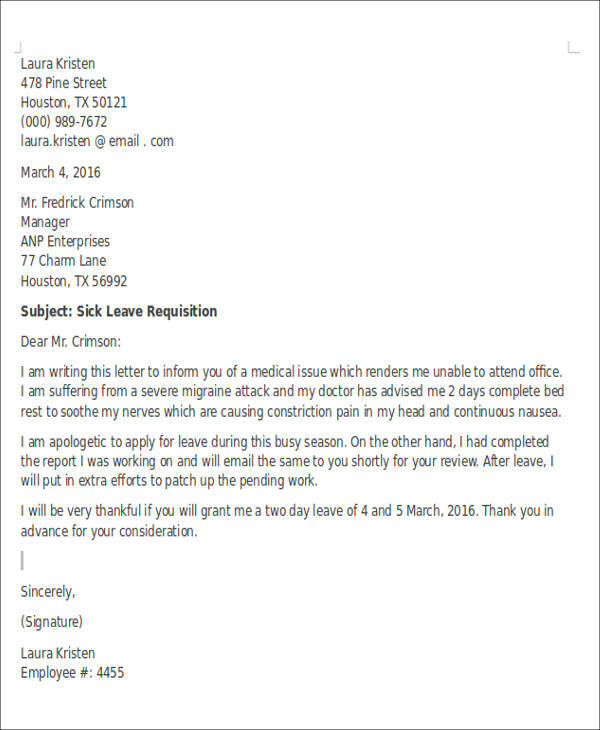 End of Sick Leave Line. 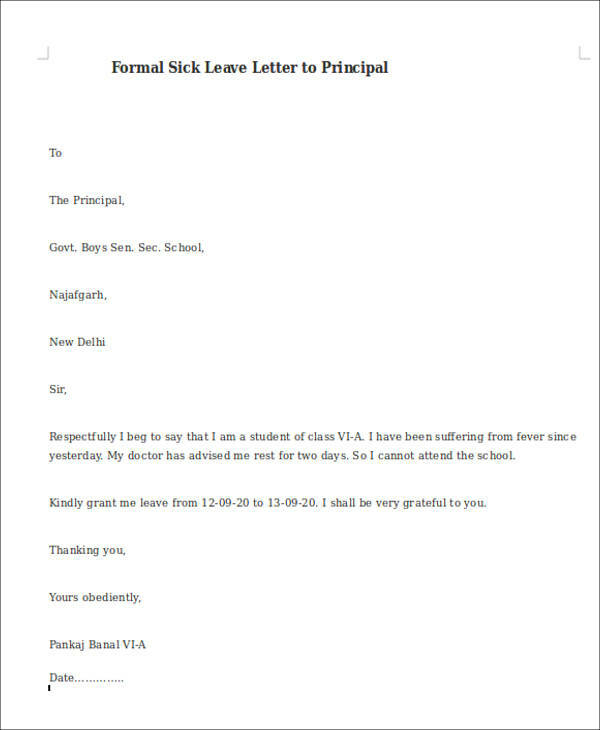 Now that you have an idea of how a sick leave letter looks like, go ahead and write one now! 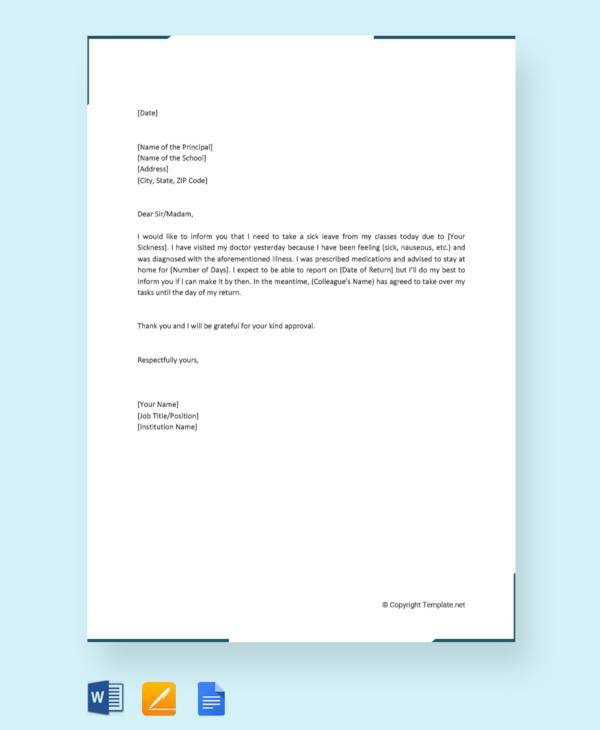 For future letter-writing needs, you may also check out our collection of Invitation Letters for Visa. Simply click on the link provided.